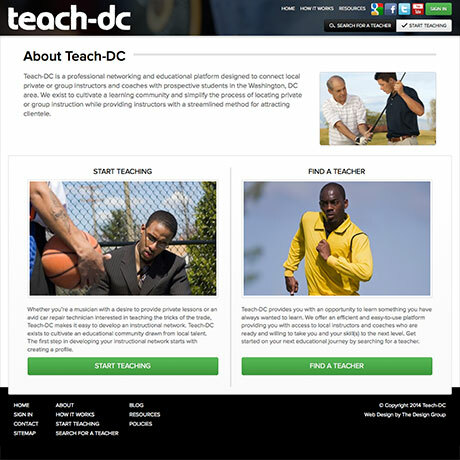 One of our team's favorite projects, Teach-DC, is a notably useful web tool that serves as a gateway for educators and students of all types. 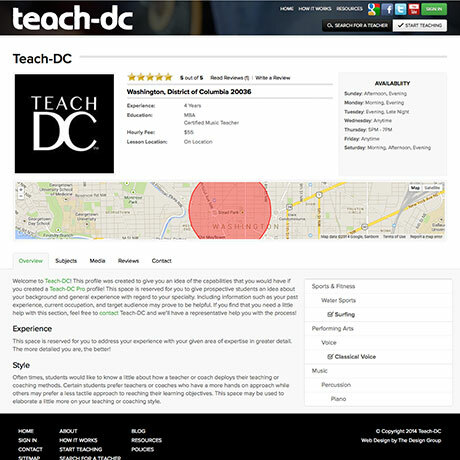 Teach-DC provides educators, such as teachers, tutors, coaches, and students with options to start learning or start teaching in the greater Washington, D.C. area. 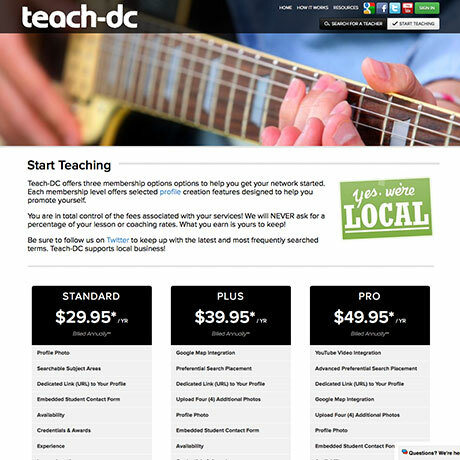 One of the more important aspects of the Teach-DC website was to create a platform that caters to both teachers and students equally, in an effort to generate users on both spectrums, and thus create a full fledged education connection resource. In order to do this, we first created a user friendly teacher registration/sign-up with PayPal Pro integration for payment processing. 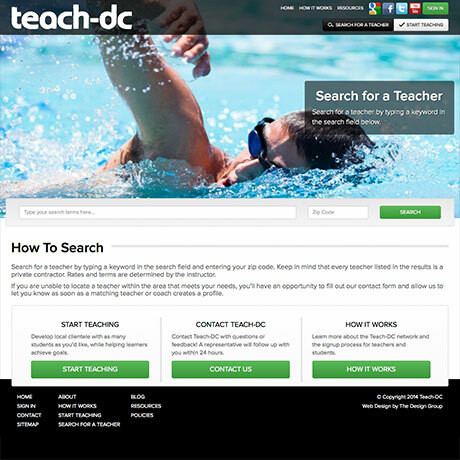 For students, a custom search algorithm was developed to assist with the teacher searching process, which takes term relevance, teacher tier, teacher ratings and more into account when displaying results. 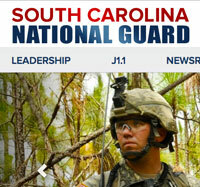 In addition, TDG implemented a registration system for student users, which provides advanced contacting and reviewing capabilities for students.